Hot, sunny days call for cold, fizzy drinks. Mix up a batch of Tito's Sangria Fresca for an effervescent punch you can enjoy all summer long. 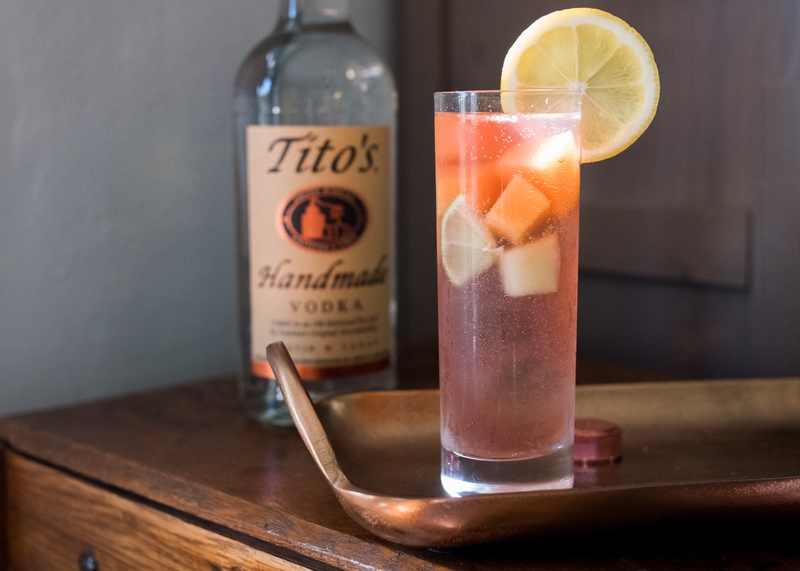 Combine Tito's Handmade Vodka, rosé, and elderflower liqueur in a large jar or pitcher. Add citrus and melon to the mix. Let sit, refrigerated and covered, for about 4 hours, if time allows. Before serving, add a large block of ice and the can of soda and gently stir. Ladle sangria into Just Add Tito's Party Pack cups, making sure each portion receives some of the cut fruit. Garnish with a melon slice if you like.